Throughout the First World War, images of children were used many times for propaganda purposes. At the start of the 20th century, society is changing quickly, communications are developing, and there is a constantly growing number of advertisements that depict children. It is therefore quite logical for childhood to become a subject of propaganda. 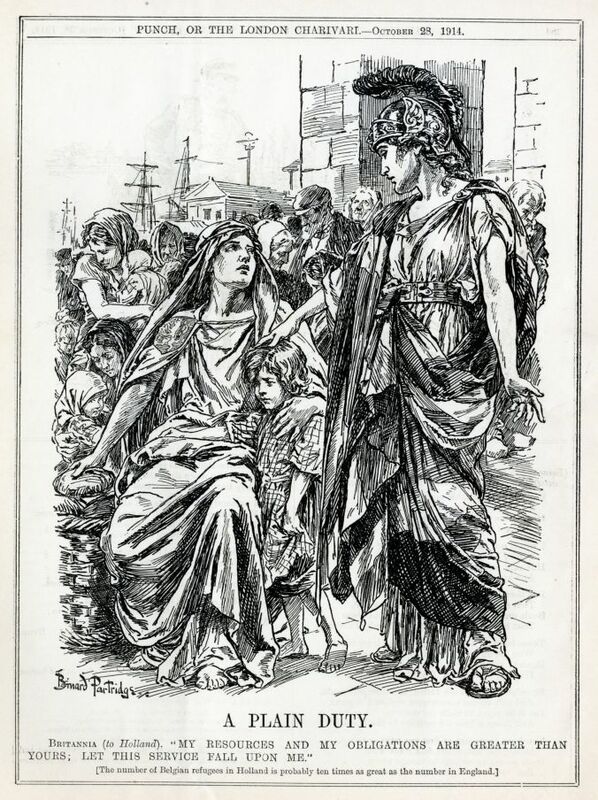 With Belgium occupied, its government having taken refuge at Le Havre in France, and with the belief that exposing the facts was sufficient, it was most notably abroad that the image of “Poor Little Belgium” would make its way notably through representations of women and children, victims of the German invasion. The conveyed message will be unequivocal: Look what they've done to us, Protect us from Teutonic barbarity! presented in countless forms (posters, postcards, medallions…). 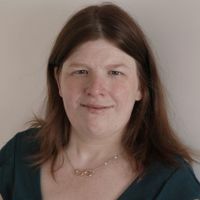 The image of children will also be targeted at adults as a means of comparing the bravery of certain young people and perhaps the reader's own cowardice, but propaganda will also be used and directed at children, through publications for young people. 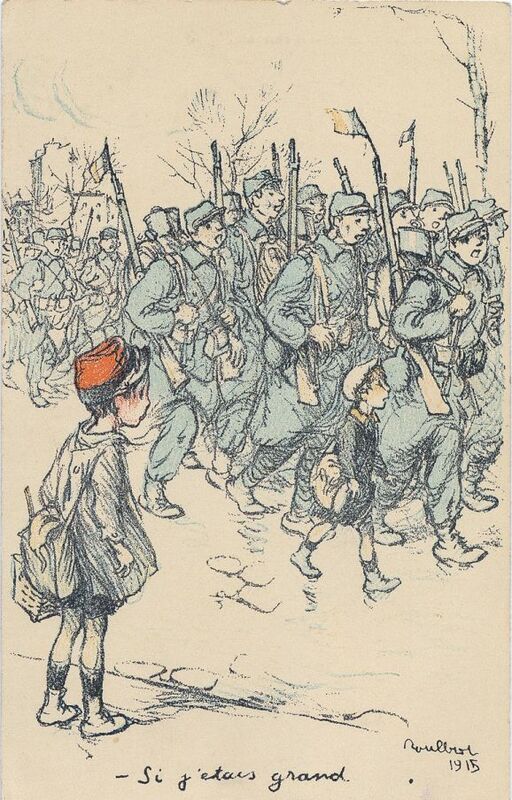 French and British children will be introduced to very black and white representations of the war with the aim of instilling patriotic fervour, while the underground press will also make references to children as an example of resistance to the occupier. This article is intended to explain the purpose behind the usage of the image of childhood, and to review the various propaganda tools in which this image was used. 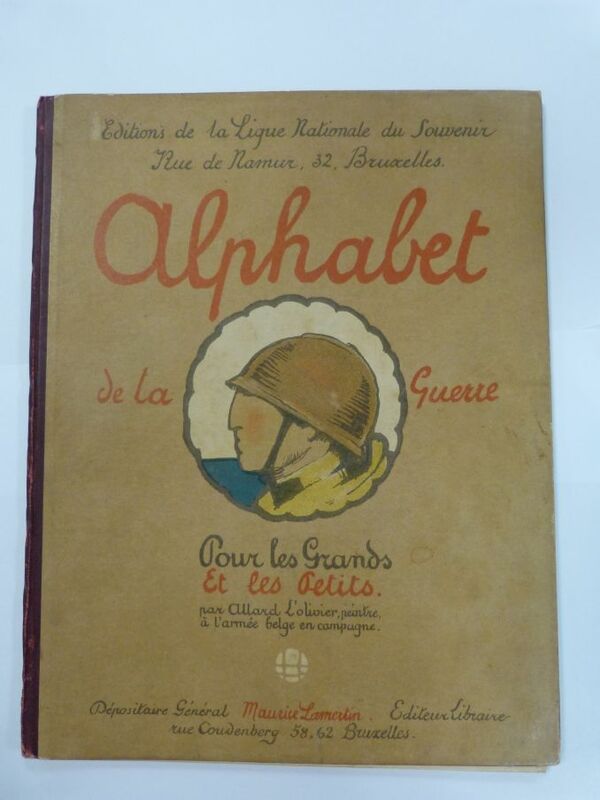 "As for me, I would rather play war with real little Huns"
The image of childhood, and specifically of the martyr child, is immediately used in the Allied propaganda and by the various committees providing support for the Belgian population that are created at the start of the war. 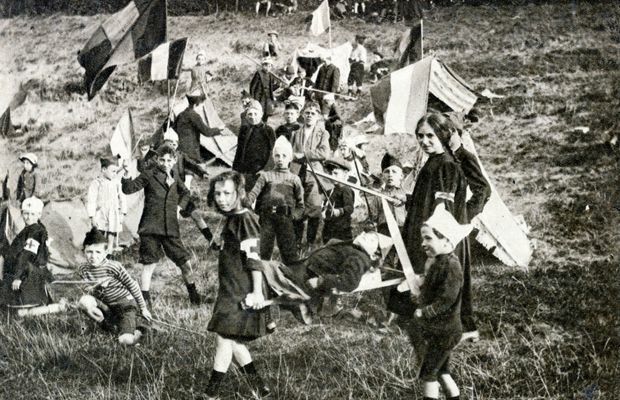 While the German atrocities at the time of the territory's invasion, including at Tamines, Andenne and Dinant, include children and provoke a feeling of dismay, which translates into great empathy, at the same time we see an exaggeration of these events, however terrible their reality. Rumours based on these stories circulate: the legend whereby the Germans systematically cut off the hands of children will live on despite the existence of the Commission investigating the violation of the rights of people, which states that there is nothing to confirm these facts, and certainly not their systematic nature. The image of Belgian children will especially be used in order to reach the international community, such as to encourage the generosity of donors and to put public opinion on the side of the Allies. The interest in the cause of Belgian children will be so keen that Americans will want at all costs to adopt a Belgian child. Some will do so: an American general returns home with a young boy who had lost both of his parents, and who will be able to start a new life in the United States. Of course, everything was properly staged and photographed. However, practices of this sort are the exception. Most of the time, the image of children is used as part of the organisation of afternoon parties, gala evenings or various sales, so that compassionate rich people can dig deeply into their pockets. These displays of good intentions sometimes flirt with what would today be considered as bad taste. In 1917, during a charity afternoon event in France, there is a scene with young children symbolizing the martyr nations… in the form of a human pyramid with a "few brave mutilated soldiers" serving as the base of the period. The aim isn't hidden and the collected amount is proudly proclaimed with the name of the generous donors as is regularly done in the press, since this is a way for certain people in the more fortunate class to demonstrate their interest in humanitarian causes resulting from acts of war. But the propaganda is not intended solely to gather funds for the charities that are sending parcels and food for the populations in distress. It's also for ideological purposes that images of children clinging to their mothers are used. Images of Belgian families, in which the father is almost always absent from the illustrations or shown as an old man, victim of the German horrors, but also representations of foreign children, British or French, often shown near their mothers and supporting the departure of the men of the family to the front. These images were accompanied by slogans such as the “Women of Britain say: “Go!”, dated 1915. Rumours based on these stories circulate: the legend whereby the Germans systematically cut off the hands of children will live on despite the existence of the Commission investigating the violation of the rights of people, which states that there is nothing to confirm these facts, and certainly not their systematic nature. In Belgium, there were few publications for young people before the war, and the occupation won't help things. Families have better things to do. Illustrated works published under the German censorship seldom use the image of children, but it's especially in France that publications for young people will be used as propaganda tools. These representations can be in several forms: children can be represented as victims of the war – young Belgians are depicted in “the journal of a young Belgian refugee girl” – or as primary subjects in illustrations describing the invasion of Belgium in August 1914. 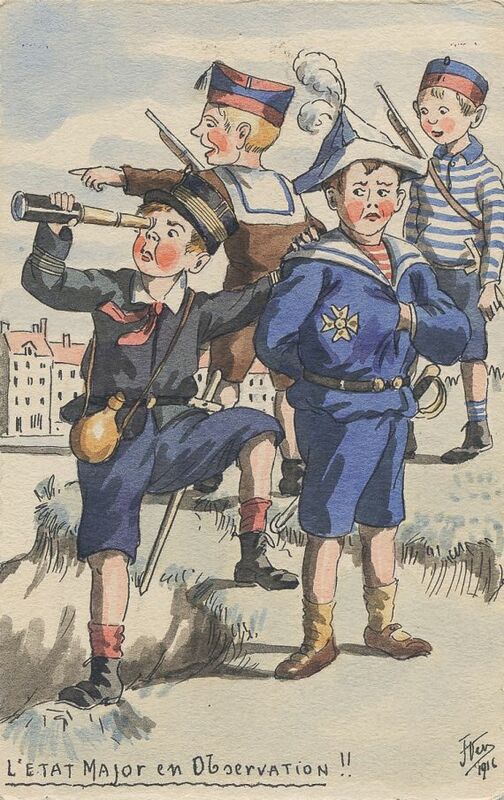 However, there are also illustrations of young French children from the North, in the regions occupied by German troops. Children are also presented as imaginary actors in the war that is taking place far away from them, and that they can re-create in their games. Young boys are shown as soldiers, wooden saber in hand, but of course, no one wants to be shown as the enemy soldier, that would too much of a dishonour. Young girls are shown in maternal roles: nurses or as penfriends for soldiers. At no time do they ever take on a leading role. Such representations are often accompanied by positive messages (encouragement from soldiers) or negative messages (about the Germans). The children themselves therefore become a vector for propaganda. They assume this role, promote it and disseminate it within family or school circles. 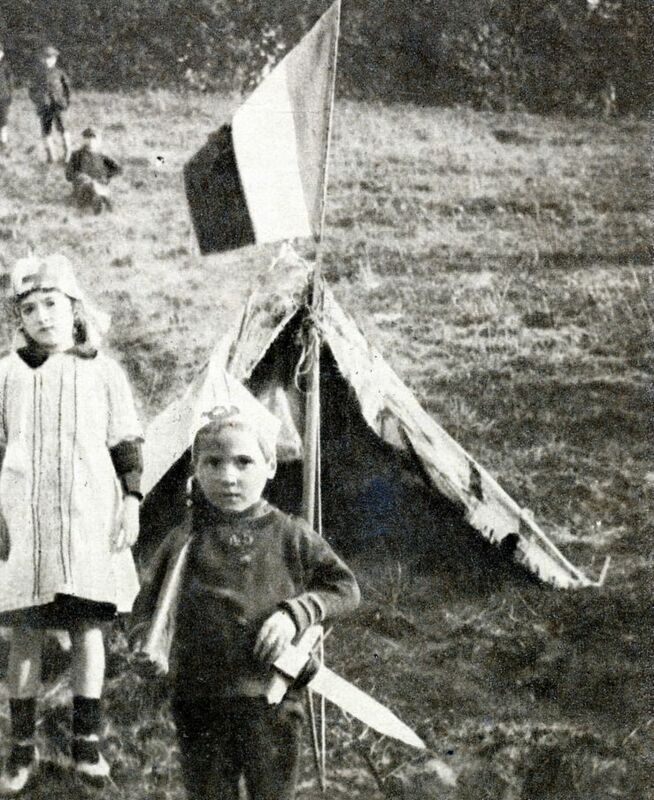 The private diaries of French children unanimously include anti-German statements, best wishes for the homeland and prayers for the war to end. As time passes, patriotic messages or ones relative to the war decrease somewhat in quantity within the texts, but without disappearing entirely. Adults also make sure to put anti-German statements or words in the mouths of children, who then repeat them and strongly assimilate them. The press also has opportunities to convey educational information to children. The publications regularly produce illustrated educational presentations that sometimes relate the German acts of violence without any moderation. 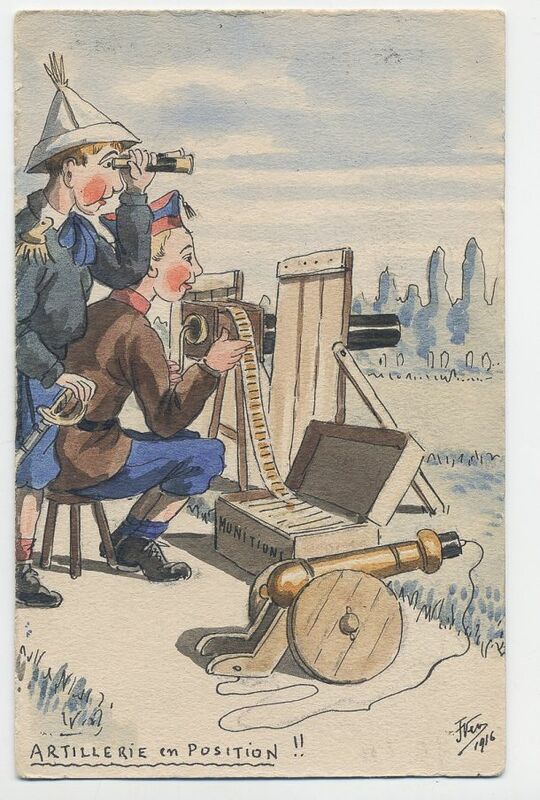 In this case, the aim is obviously to instill anger and distaste for the German army in the young reader. On the other hand, other publications relate French exploits with much emphasis and enthusiasm. These messages are intended to ensure that they are aware of the situation, even as efforts are made to insulate them from the war. The conflict is presented to children in quite a black-and-white manner: there are the nice guys, the Allies, on one side, and the bad guys, the Germans, on the other. The press for adults also uses the image of children: The civilian victims of German atrocities, the image of very young soldiers fighting at the front and whose courage is hailed, or children collected by regiments and adopted as "mascots". This is all intended to encourage the reader's sense of solidarity with the young people ready for the ultimate sacrifice, as well as negative feelings relative to the people depicted as an enemy that is ready to do anything. Texts written by children are also used as positive examples of solidarity. The "Courrier des Armées" of 15 February 1917 mentions that a youngest Australian girl, Winnie Nation, had sent caps made from “good Australian wool”. The aim is to show that even a little girl who describes herself as living “way out in the bush” is aware of what's happening in Europe and is participating, in her way, in the war effort. Indeed, no one knows if this letter is authentic, nor even likely. It is certain, however, that this is a deliberate editorial choice intended to promote these examples. In the United States, hundreds of letters are received from young Belgian children who have been made to write to Woodrow Wilson, president of the United States, in order to thank him for his generosity and intervention in Europe. Children are also presented as imaginary actors in the war that is taking place far away from them, and that they can re-create in their games. Young boys are shown as soldiers, wooden saber in hand, but of course, no one wants to be shown as the enemy soldier, that would too much of a dishonour. Young girls are shown in maternal roles: nurses or as penfriends for soldiers. At no time do they ever take on a leading role. Such representations are often accompanied by positive messages (encouragement from soldiers) or negative messages (about the Germans). The children themselves therefore become a vector for propaganda. The image of children will be a strong propaganda tool during the Great War. 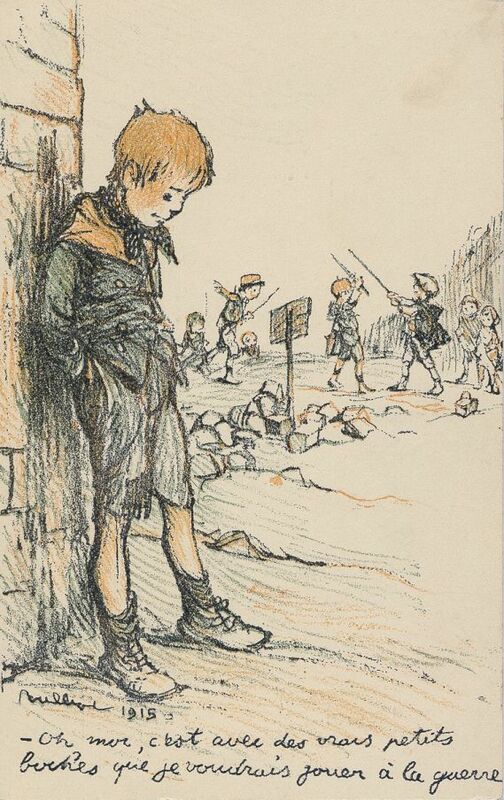 Sometimes taken to extremes, the image of children as victims of the war (in posters) or as actors in a real war (young soldiers) or an imaginary war (in the publications for young people) will have an impact on the imagination of the public, whether they experienced the war as an adult or as a child. This impact will remain after the war, with the start of a new means for conveying large-scale political messages in a conflict-based context. Over the course of a century that saw a generalization of marketing tools (radio, television and Internet), the image of children will naturally be endlessly reused for political, commercial and/or humanitarian purposes. One has only to recall the children of Ethiopia in the 1980s, or the number of times that children appear in advertisements. The usage of the image of children, intended to shock and raise emotions during the first worldwide conflict, has come a long way. War widows: The homeland despite it all!